Revlon PhotoReady Foundation – HD Makeup at a Drugstore Price! 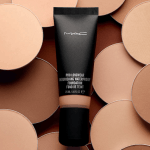 Revlon PhotoReady Foundation is being touted as an affordable alternative to other high-end high-definition foundations, specifically the insanely popular Make Up For Ever (MUFE). True confession time: this is the first drugstore foundation I've ever purchased! 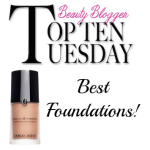 I was so intrigued over the buzz about this foundation, however, that I had to try it for myself. I purchased my Revlon PhotoReady Foundation at Ulta. The product is in limited distribution now, but is slowly rolling out. Shade selection was limited, but I selected 005-Natural Beige (for comparison, my every day foundation is Giorgio Armani Luminous Silk or Lasting Silk UV Foundation SPF 20 and I wear a 5; in MAC, I'm an NC 30). I love that the bottle has a pump applicator and that the formula has SPF 20. 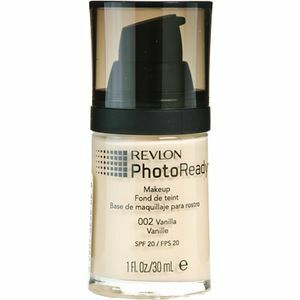 In terms of coverage and finish, Revlon's PhotoReady Foundation gives a medium coverage that is buildable. I find I get better wear and results when using a primer first. PhotoReady Foundation applies and blends easily with fingertips or a Beautyblender, which gave the most precise application. It gives a luminous, dewy finish; there is a bit of shimmer to the formula, but in natural light, my face didn't look like a disco ball. Overall, I'm really impressed with the wear and finish of Revlon PhotoReady Foundation. Honestly, it exceeded my expectations. 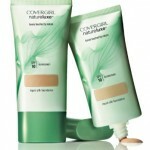 I would definitely recommend this product if you're looking to try a HD foundation. 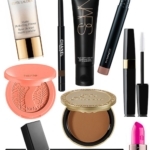 There are additional products in the Revlon PhotoReady line that I will be reviewing in the future. If you're able to find a "buy 1 get 1 free" deal, I would recommend picking up the Translucent Finisher Powder to go along with the foundation, to really get the airbrushed finish of a HD makeup. 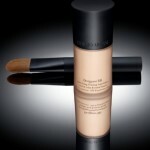 Revlon PhotoReady Foundation has a suggested retail price of $13.99. 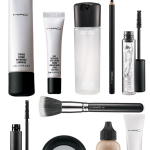 Look for it in CVS and Ulta stores (Target, Walmart and other drug/discounters soon) and online at ULTA Beauty . I just bought this and I’m loving it! although without a setting powder its a bit too moist.